All-digital Universal Credit system Creates Problems as DWP Goes Technology Tonto. | Ipswich Unemployed Action. All-digital Universal Credit system Creates Problems as DWP Goes Technology Tonto. Government project management experts warned as long ago as 2015 that a problem with GDS’s Verify online identity system could undermine the Universal Credit business plan. The Government Digital Service (GDS) has lost responsibility for digital identity policy, with the Department for Digital, Culture, Media and Sport (DCMS) taking over. There are still problems for users as the comments here indicate all too well. You have to reclaim Universal Credit digitally, online. So basically you have to create a Universal Credit account with a user name, password, and and answers to a couple of security question (one of which is asked when you try to log on). You will be asked how you want your notifications to be sent to you, email or phone, and will have to confirm you email address (by clicking a link of an email the DWP sends you) or using a code sent to you phone as a text message. After that you have to go through the usual routine about rent, savings etc. That bit of it is quite simple really. You then have to telephone a call centre to make an appointment to go back to the Jobcentre to produce evidence to corroborate your identity, although if you’re lucky you might do all of this with one visit. If all goes well you will then get a message sent to you telling you that you’ve been transferred and are fully on the full digital service. It is a bit but what got me is having to take in documents to prove my identity again! I’ve been visiting the Jobcentre and claiming Universal Credit for months, had already proven my identity before, and then had to do it again when switching from the live system to the digital system. That’s proper nuts. But then most things are a bit mental when it comes to UC. It’s not just Verification: the DWP is going Technology Tonto! A Universal Credit claimant has alleged that his local Jobcentre ordered him to purchase a smartphone for his job search because his basic model was not good enough. Arthur Chappell, who is unemployed, argued that his existing phone allowed him to answer calls and receive texts from employers and that he had a tablet with WiFi access to show the Jobcentre he was actively seeking work. However an adviser told him he needed to own a smartphone by the end of September in time for his next session. The 56-year-old called the request “offensive… on many levels”. With people starving and [dying of] suicide over the Universal Credit changes, forcing us to use credit-hungry phones is really beyond the pale,” he told i. On 6 September, Mr Chappell attended his monthly meeting at the Friargate Jobcentre but was instead informed that he would be signed on to the Universal Credit “full service,” following the system’s roll-out in Preston. He was told he would need to bring his iPhone to the next briefing on 27 September. However Mr Chappell claims he was told in no uncertain terms that he needed a smartphone. When he raised that he could not afford one, the adviser told him they would pay £40 towards the device and specifically directed him to the Argos website. Mr Chappell said it felt as though the adviser wanted him to be able to search for a job round-the-clock with a smartphone. “It has been a standing rule that we should spend 35 hours a week job-seeking, though finding that many jobs in your skills range is extremely difficult. Having us contactable 24/7 by iPhone exceeds [this] boundary. Mr Chappell said he considered the adviser’s request “highly bogus”. Having a smartphone paid for seemed unnecessary when some claimants, including himself at times, could not afford the basics and used food banks, he added. Mr Chappell, who hopes to be working again by mid-November and is due to have his book on pub signs published in April, said he was managing at the moment but having to fork out for more credit for a new phone could mean he had to use food banks again. He said he would be sending a letter of complaint to the DWP and would hold off purchasing the phone until he heard back. « Labour Needs Policies to Replace Universal Credit to Rebuild the Welfare State. Even if you have a smartphone using a smartphone isn’t free, so if you’re on the internet a lot you will have to pay for the data that you’re accessing which might not be that cheap. Besides I’m as sure as I can be that nobody can order you to spend any of your money on phones or phone tariffs, least of all Jobcentre representatives. Arthur Chappell should tell them where to get off and complain to the DWP about the conduct of the person leaning on him to force him to spend his own money on something he doesn’t want. As always the advisors will try it on where they can. I know someone with a white beard, who has been advised more than once to shave it off by his Jobcentre. So that he has a more ‘professional’ appearance. Tell your friend to tell his coach: Mind your own goddam business! to provide proof of ID and NOT use Verify. UC Journal to put a work search record on or their CV. I would suggest people being told to buy smartphones by these ridiculous target hungry fascists ask to have these requests put into writing. Then take them to the CAB or your MP or both. This system is getting more and more farcical by the day. Here’s the Work Coach notes explaining the steps for transferring from the live service to the digital service. Thing is everybody on the live service has already proven their identity and given all relevant details about rent, savings etc., so why all the fuss? Why not simply get a claimant to create a UC account and then copy all the information stored about a claimant from the live service database to the full digital service database? 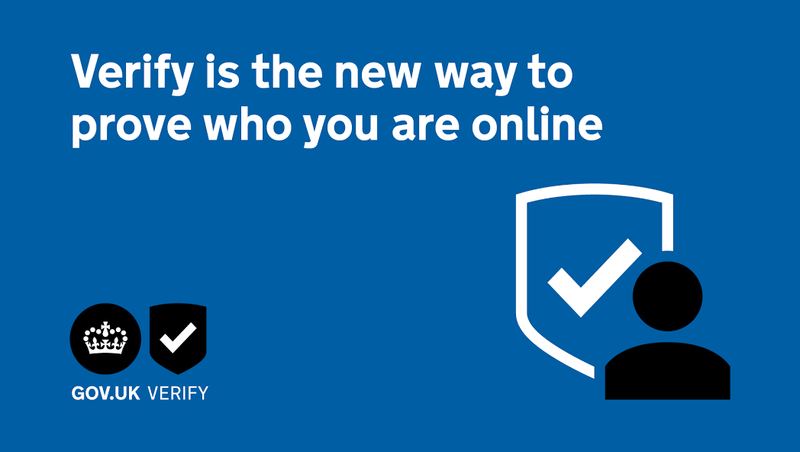 Also, as far as Verify goes, I tried twice to create a digital identity using private provider services. The first time was with Experian which failed as there wasn’t enough information out there to confirm my identity. The second time was with CitizenSafe which failed when I got asked what date I created my bank account on: I was given four options and supposed to pick the date I created my bank account, decades ago, from the selection on offer. How many people could do that? How many of those reading these words can remember the exact date when they opened their bank account? Hardly anybody I would imagine. How can a national government screw up a functional social security system to this extent and set the bar so high in order to claim entitlement that an unacceptable number of needy people simply cannot get over that hurdle? Apologies. Wrong link. Here’s what Work Coaches are given about the “journey” of live service claimants to full digital service claimants. With a simple thing made so complicated no wonder Work Coaches don’t know what they’re doing. Have they resolved the issue for people without passports/driving licenses who can’t use this system? Yep. That’s what I’ve had to do – TWICE! You have to take in a cartload of other non-photo identifying documentation. I submitted my birth certificate, electric and water bills, letter from HMRC about my NI contributions, bank statement, tenancy agreement and a few other things that they didn’t bother to look at. As the people who saw me have been seeing me for months beforehand and paying me Universal Credit why the heck I had to re-identify myself to people who already know me seems quite bonkers. The idea of forking out that kind of money (impossible) plus having monthly bills, is ridiculous. £100bn “citizens fund” should be created to spread the UK’s wealth more evenly claims Lib Dem leader Sir Vince Cable, but it will never happen under any major British political party as they are all tarred with the same masonic brush. In Scotland, the Housing Benefit element of Universal Credit was supposed to be paid directly to the landlord. But it turns out that only the biggest social landlord in Glasgow – the GHA – will receive direct payments. More chaos on the way with this “Social Hurricane”.